Are you ready to Bee Merry? Christmas came early for me with the latest Burt's Bees Holiday Sets! This year, the hive made sure that each set is well curated and packed in the cutest packaging that will bring joy to anyone you choose to give them to. I particularity like the products that they have in every bag. It has all of the bestseller from the Burt's Bees that any new or frequent user of the brand will love! 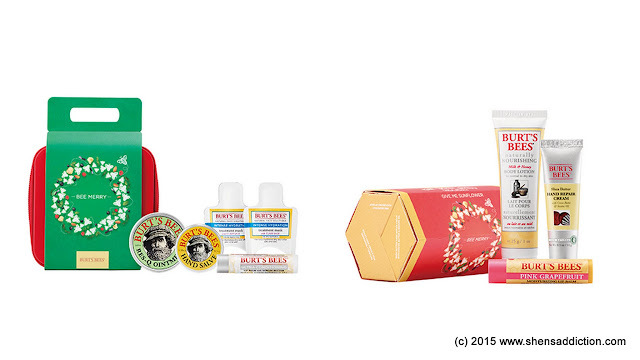 The Bee Merry Be Hydrated (Php1495) is for my aunt who prefers hydration over radiance. Well, that's because her skin is glow-y and she said she owes it to the 8 glasses of water she drinks everyday. Her dedication to such a healthy habit should be rewarded with this holiday set that contains the Burt's Bees Intense Hydration Treat Mask and Intense Hydration Lotion, mini Intense Hydration Cream Cleanser and mini Shea Butter Hand Repair Cream. Give Me Sunflower (Php495) is the perfect gift for colleagues, team mates, sisters and girl friends. It has three essential kikay must-haves. Naturally Nourishing Milk & Honey Body Lotion Mini, Shea Butter Hand Repair Cream, Refreshing Lip Balm with Pink Grapefruit. I'm actually getting one for myself! This one though is for my friend who recently got into sports. Got to remind her that her skin needs extra care from all her rough activities. 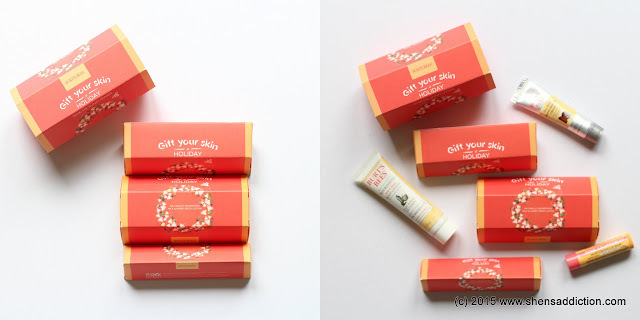 I've got three nieces who will go ga-ga over these cute Burt's Bees Christmas Bellstocking fillers lip balms! Only for Php375 each. Gotta give them a natural lip balm to care for their young skin. Maybe next year, I'll get them the Burt's Bees Lip Crayon. Only if their moms will let me and if they have straight A's. These are just a few of the things I got my family and friends. I still have more shopping to do. If you're pressed for time with shopping. 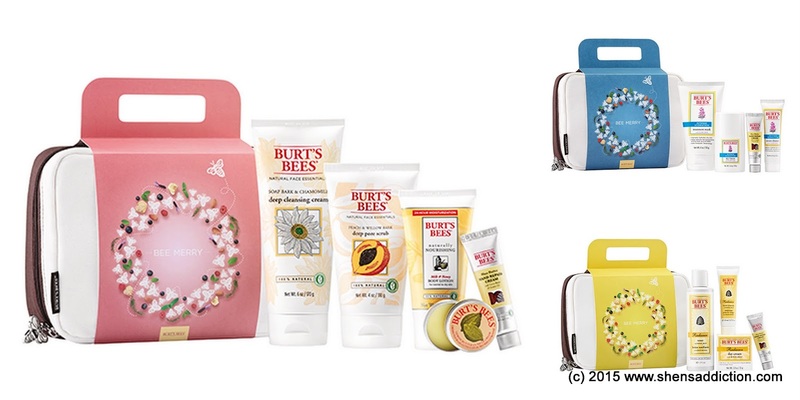 I'm glad to share that Burt's Bees is now available in Zalora Philippines! 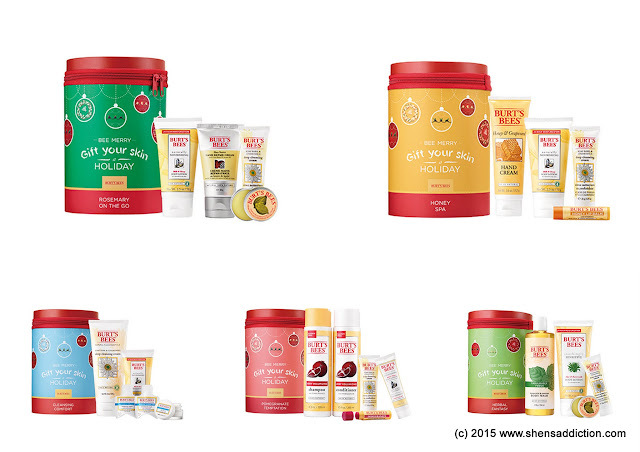 Get your products right in your doorstep without having to wade through the traffic in the metro! And to all my fellow Pasigenos, you can get your Burt's Bees fix at their store in Estancia Mall in Capitol Commons near Bo, Kapitolyo. But if you want something that will bring smile to your lipstick addict friends (ehem! ehem! ), these Lip Crayon will do the tric for P695 each.